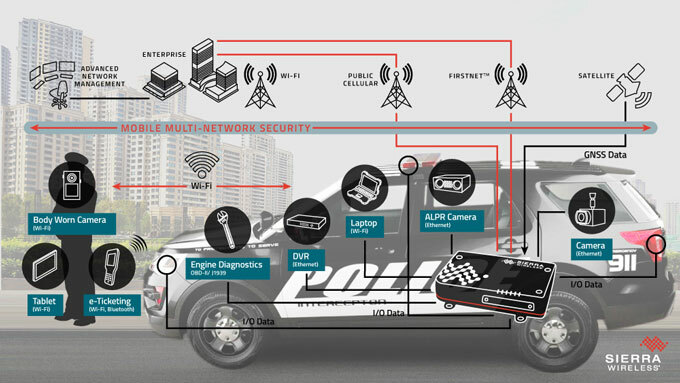 The AirLink® MP70 is a high performance, LTE-Advanced Pro vehicle router developed specifically for mobile mission critical applications in public safety, transit and field services. Offering high power, long range Gigabit Wi-Fi and Gigabit Ethernet, and up to 600 Mbps downlink and 150 Mbps speeds over LTE-Advanced Pro, the AirLink MP70 unites the fleet with the enterprise network and enables multiple field applications to work simultaneously, further and faster from the vehicle than ever before. The MP70 is a certified device that is Band 14 and FirstNet Ready™. Great product backed by a great network, FirstNet. Finally true priority on a network for our police department!